* Recommend Gently hand wash. Suspension Airing. * Maximum Temperature 40% Conventional Washing. * Can Not Bleach or Dry-cleaning. * Please check our Size Chart before buying. * All data are measured by manual measurement, so please allow a little slight deviation (1-3cm) will be existed,1cm = 0.39 inch?. * If child grow fast, please consider to choose bigger size instead suggested size. * Color may have a little difference due to lights, screens, etc. The color is similar with the picture in our website.? * The picture is only for reference, please make the object as the standard. Thanks your understanding. 1. 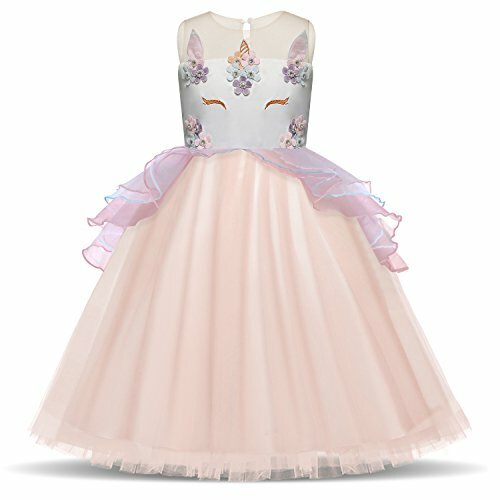 TTYAOVO is a brand that compiles authentic design and beautiful dresses for children who deserve happiness and love. 2. Best customers service. Nice to communication with . Make sure get happy shopping experience. 3. TTYAOVO is the unique brands of Amazon. The dresses only sold by TTYAOVO. 4. Be wary of non authorized sellers on our listings. To ensure you will receive an authentic TTYAOVO product, please make sure the seller are purchasing from is ""TTYAOVO"".